Parts of this page are taken from Wikipedia. Robert O'Hara Burke (6 May 1820 or 1821– c.28 June 1861) was an Irish soldier and police officer, who achieved fame as an Australian explorer. He was the leader of the ill-fated Burke and Wills expedition, which was the first expedition to cross Australia from south to north, finding a route across the continent from the settled areas of Victoria to the Gulf of Carpentaria. Burke was born in County Galway, Ireland in 1820. He was the second of three sons of James Hardiman Burke (d. January 1854), an officer in the British army 7th Royal Fusiliers, and Anne Louisa Burke nee O'Hara (d.1844). 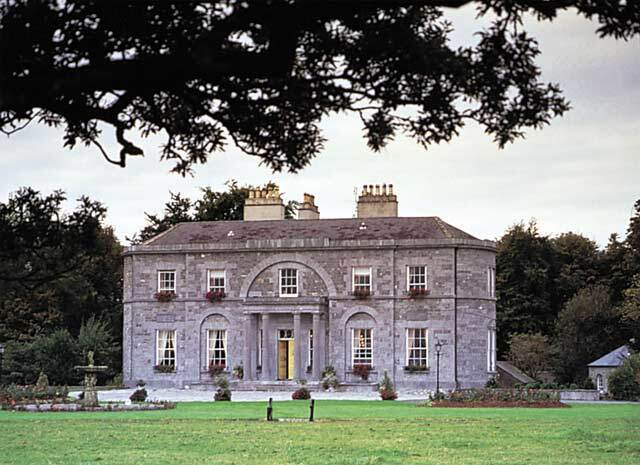 The family home was St Clearans, which still stands. James Thomas Burke was a Lieutenant in the Royal Engineers, and on 7 July 1854 at the battle of Giurgevo became the first British officer killed in the Crimean war. Burke entered the Royal Military Academy, Woolwich in May 1835. In December 1836 he failed his probationary exam and went to Belgium to further his education. In 1841, at the age of twenty he entered the Austrian army and in August 1842 was promoted to Second Lieutenant in the Prince Regent's 7th Reuss Regiment of the Hungarian Hussars. He spent most of his time in the Imperial Austrian Army posted to northern Italy and in April 1847 was promoted to 1st Lieutenant. Towards the end of 1847 he suffered health problems and went to Recoaro spa in northern Italy, then Grafenberg and finally Aachen before resigning from the Austrian army in June 1848 after charges against him relating to debts and absence without leave were dropped. After returning to Ireland in 1848, he joined the Irish Constabulary (later the Royal Irish Constabulary). He did his cadet training at Phoenix Park Depot in Dublin before being promoted to 3rd Class Sub-Inspector, stationed first in County Kildare and later in Dublin. Burke migrated to Australia in 1853. He landed in Hobart, Tasmania but soon moved to Melbourne where he joined the Victorian police force. Initially he worked as Acting Inspector under Mr Mitchell in the Parish of Jika Jika in the northern suburbs of Melbourne, but on 1 November 1853 he was appointed a magistrate, promoted to Police Inspector, and was posted to Carlsruhe. On 31 December 1853 he was promoted to District Inspector of the Ovens District and early in 1854 he moved to Beechworth to relieve Inspector Price. He returned to England to fight in the Crimean War, but peace was signed and the war ended before Burke got a chance to enlist and he returned to Victoria in December 1856. He returned to his posting at Beechworth and from there attended the "Buckland Valley" riots near Bright against the Chinese gold miners in 1857. In November 1858 he was transferred to Castlemaine as Police Superintendent on £550 p.a. plus a groom and quarters at Broadoaks on Gingell Street. In June 1860, Burke was appointed to lead the Victorian Exploring Expedition with William John Wills as surveyor and astronomical observer. The expedition left Melbourne on Monday, 20 August 1860 with a total of 19 men, 27 camels and 23 horses. They reached Menindee on 23 September 1860 where several people resigned, including the second-in-command, George James Landells and the medical officer, Dr Hermann Beckler. Cooper Creek, 400 miles further on, was reached on 11 November 1860 by the advanced group, the remainder being intended to catch up. 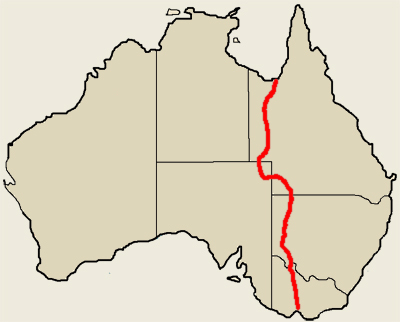 After a break, Burke decided to make a dash to the Gulf of Carpentaria, leaving on 16 December 1860. William Brahe was left in charge of the remaining party. The small team of Burke, William Wills, John King and Charley Gray reached the mangroves on the estuary of the Flinders River, near where the town of Normanton now stands, on 9 February 1861. Flooding rains and swamps meant they never saw open ocean. Already weakened by starvation and exposure, progress on the return journey was slow and hampered by the tropical monsoon downpours of the wet season. Gray died four days before they reached the rendezvous at Cooper Creek. The other three rested for a day when they buried him. They eventually reached the rendezvous point on 21 April 1861, 9 hours after the rest of the party had given up waiting and left, leaving a note and some food, as they had not been relieved by the party supposed to be returning from Menindee. They attempted to reach Mount Hopeless, the furthest outpost of pastoral settlement in South Australia, which was closer than Menindie, but failed and returned to Cooper Creek. While waiting for rescue Wills died of exhaustion and starvation. Soon after, Burke also died, at a place now called Burke's Waterhole on Cooper Creek in South Australia. The exact date of Burke's death is uncertain, but has generally been accepted to be 28 June 1861. King survived with the help of Aborigines until he was rescued in September by Alfred William Howitt. Howitt buried Burke and Wills before returning to Melbourne. In 1862 Howitt returned to Cooper Creek and disinterred Burke and Wills' bodies, taking them first to Adelaide and then by steamer to Melbourne where they were laid in state for two weeks. On 23 January 1863 Burke and Wills received a State Funeral and were buried in Melbourne General Cemetery. Ironically, on that day Stuart and his Companions, having successfully completed the south-north crossing, were received back at a large ceremony in Adelaide. • Burke River in western Queensland. • O'Hara's Gap, Selwyn Ranges, Queensland.